FREE upgrade to Expedited Shipping at checkout. 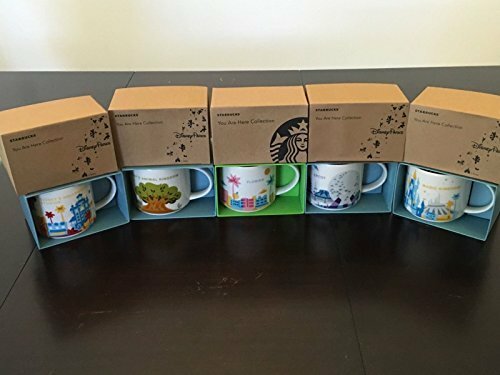 For Sale is a Set Of 5 Mugs: 1 Magic Kingdom + 1 Animal Kingdom + 1 Epcot Version 2 + 1 Hollywood Studios + 1 Florida 14 Ounce You Are Here Starbucks Mugs. All mugs are brand new in their original boxes with all tags.